Jack O’Brien grew up in Duluth in the early 1900s with a reputation as a natural leader and an athlete who was considered to be reckless and adventurous. His teachers said his Irish blood seemed to make him afraid of nothing. So people who knew him in Duluth weren’t surprised when he was selected to the group of men who accompanied Admiral Richard E. Byrd Jr. on his first expedition to Antarctica in 1928. O’Brien was born Sherman John O’Brien in Duluth on August 18, 1897. His parents, John H. and Mary O’Brien, both of Irish descent, lived at 1913 West Superior Street at the time of his birth. John worked for thirty years as a conductor on the Northern Pacific Railroad. He was born in New York and came to Duluth in the late 1890s. He and Mary had one other son, John Edward O’Brien, born in 1895. The family moved several times in the ensuing years but finally settled in a house at 5713 Juniata Street in Lakeside. Both the O’Brien boys were star athletes at Duluth Central High School, especially on the football team. But Sherman, nicknamed “Yid,” may have had more athletic prowess and leadership skills, and he was considered one of the best all-around athletes in the school’s history. In addition to football, he was captain of Central’s baseball team in 1914 and captain of the basketball team in 1915. Sherman O’Brien was involved in a terrible tragedy in 1914. On August 16, while on a canoe trip with two friends, Gerald McCormick and Arthur Kelly, on the Basswood River near Winton, their canoe was caught in a whirlpool and capsized. McCormick and Kelly drowned, in spite of O’Brien’s efforts to save them. Kelly was the son of F. S. Kelly, owner of Kelly Furniture on Superior Street. In 1916, O’Brien earned a spot on a rowing team of the Duluth Boat Club. That was an important year for rowing in Duluth; partly because of the Duluth Rowing Club team’s excellent performance at the 1915 National Championship Regatta on the Connecticut River in Massachusetts, Duluth was named host of the 1916 national event. But in July of 1916, O’Brien was sent off with the Minnesota National Guard to patrol the Mexican border because of numerous raids by Pancho Villa and his men. Then, soon after returning to Duluth in 1917, he was sent off for training and eventually overseas in World War I with the First Aero Squadron of the U.S. Army for eighteen months. His brother John, known as “Swede,” joined the 147th Infantry Regiment from Ohio. Both were eventually sent to France, and both survived the war. While the boys were serving overseas, their father John died in Duluth on January 10, 1919. When they returned to the Zenith City later that year, Sherman returned to high school for a while and was named to the school’s Athletic Board of Control for the 1919-1920 school year. But in 1920 Mary moved to Minneapolis, taking both boys with her. It was at this time that Sherman began going by the name John S. O’Brien, as he was known for the rest of his life. He attended the University of Minnesota for a year and a half and reportedly played football for the Gophers, but soon after was wandering around the country taking various jobs, including railroad construction and mine surveying. In the middle 1920s, according to the New York Times, he worked as an assistant shift engineer and inspector on the Holland Tunnel project in New York. He would soon use the skills he learned on these jobs to allow him to participate in the biggest adventure of his life. In 1928, Admiral Richard E. Byrd was recruiting men to join his expedition to Antarctica. Byrd planned to make the first airplane flight over the South Pole. O’Brien was chosen as one of the surveyors for the expedition. Byrd’s party traveled by ship to Antarctica in the fall of 1928 and arrived in January 1929, spending the arctic summer building the camp they called Little America, where they would spend the winter. 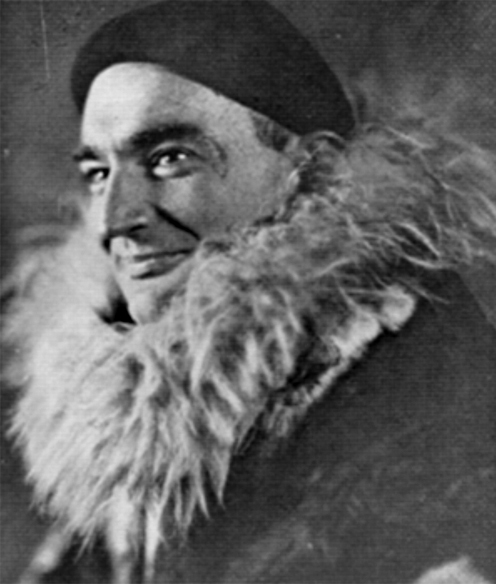 In November of that year, a team led by Dr. Laurence Gould, a geologist and Byrd’s second-in-command, set out by dog sled on a three-month journey covering more than 1,500 miles both to survey the Queen Maud Mountains area of Antarctica and to provide ground support and any needed assistance for Byrd’s attempted flight over the Pole. Accompanying Gould on the trip were surveyors George A. Thorne and Jack O’Brien and dog drivers Frederick E. Crockett, Edward E. Goodale, and Norman Vaughan. Byrd completed his successful flight over the South Pole on November 29, 1929. In December 1929, Gould’s geological party discovered and surveyed a mountain on the edge of the Ross Ice Shelf which was later named O’Brien Peak in honor of Jack O’Brien. O’Brien later wrote about the trip in his 1931 young-adult book, By Dog Sled for Byrd: 1,600 Miles Across Antarctic Ice. According to some reports, things didn’t always go smoothly on the Byrd expedition. Not surprisingly, tensions sometimes ran high in the winter of 1929, when the whole group was confined in Little America, waiting for spring. Byrd felt the men were drinking too much and chastised O’Brien for his part in it. O’Brien openly criticized Byrd for his attempts to set curfews to limit the drinking. O’Brien also clashed with Laurence Gould over the books both planned to write about the expedition. Gould was angry with Byrd for giving O’Brien permission to publish a book, which would be out before Gould’s, and Gould later was critical of O’Brien’s book. Gould’s book, also published in 1931, was entitled Cold: The Record of an Antarctic Sledge Journey. When the geological party returned from their journey, Gould told Byrd that O’Brien “was the one member of the geological party who failed to do his job,” according to Eugene Rodgers in Beyond the Barrier. Rodgers refers to O’Brien as the” black sheep” of the expedition. Members of the Byrd expedition returned to the United States in June 1930. All the men were given the United States of America Congressional Gold Medal for their accomplishments. O’Brien continued his life of adventure in the 1930s, using his experience with sled dogs to take several prospecting trips to northern Canada. O’Brien then followed By Dog Sled for Byrd by writing adventure books for young people with stories of sled dogs and trips in the north country, starting with Silver Chief: Dog of the North, published in 1933, and followed by Valiant: Dog of the Timberline, Corporal Corey of the Royal Canadian Mounted, Silver Chief to the Rescue, Rip Darcy: Adventurer, and Return of Silver Chief. Jack O’Brien was living in an apartment in New York City when he died of cancer at the age of forty-one on December 6, 1938. Two more novels were discovered with his papers and published, with some reworking, after his death: Silver Chief’s Revenge and Royal Red.